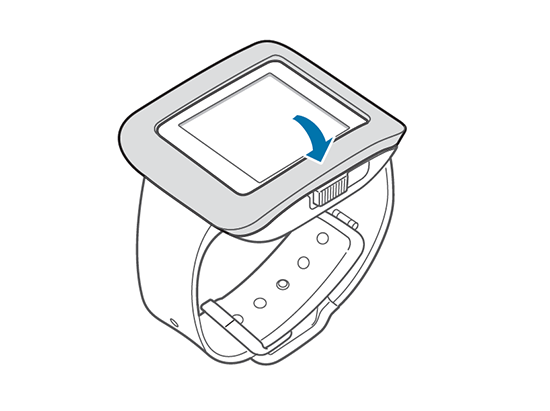 How do I Charge the Samsung Galaxy Gear™? 1. Slide and hold the switch (1) on the side of charging cradle, and then lift up the cover (2). 2. 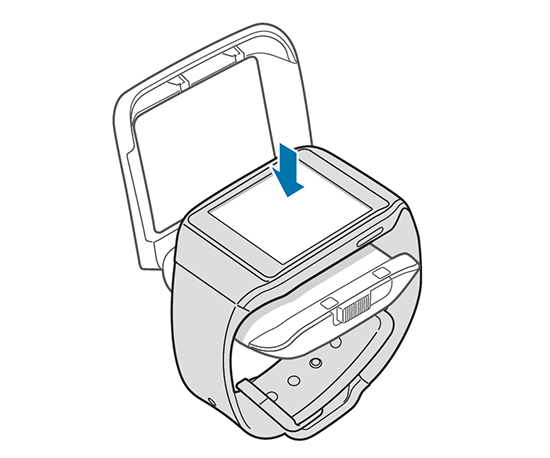 Carefully place the Samsung Galaxy Gear™ into the cradle, making sure the contacts align. 3. Close the cover of the charging cradle, firmly pressing it down. 4. 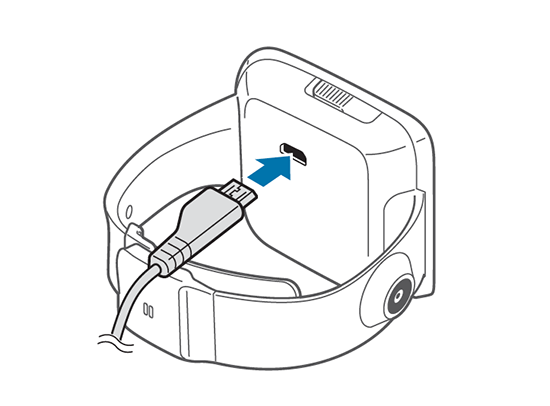 Plug the USB connector into the cradle's charging jack. 5. Plug the AC adapter into an electrical outlet. Fully charge the Galaxy Gear before using it for the first time. 6. 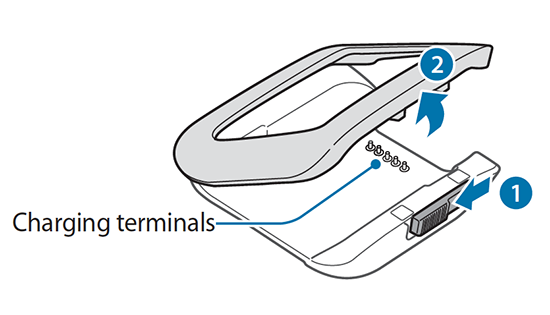 When charging is finished, first unplug the charger's power plug from the electrical outlet, then disconnect the charger's connector from the cradle. 7. 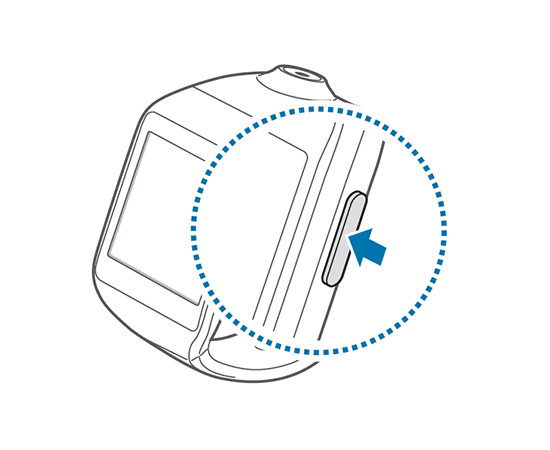 Power on the Galaxy Gear by pressing and holding the Power/Lock key for two to three seconds.